From Nicola Quinn, one of Europe's leading anxiety experts and author of the widely acclaimed Life Without Panic Attacks who's been helping people overcome panic attacks and anxiety for over 20 years. "Let me take you by the hand and teach you the simple technique that freed me from 18 years of panic attacks in just 7 days. Then when you're ready we'll take a gentle walk together. There's audio to listen to while you're out so I'll be with you every step of the way. You can chart your progress and take photos to post to my secret Facebook group where you'll get further support. You can email me from within the app at any time. And I've even included a copy of my book Life Without Panic Attacks for you to read. With my method you'll overcome bad feelings before you even go out. I would never expect you to do anything I couldn't do, and I wasn't brave, so I understand completely how you feel. Come with me and take this journey to freedom. 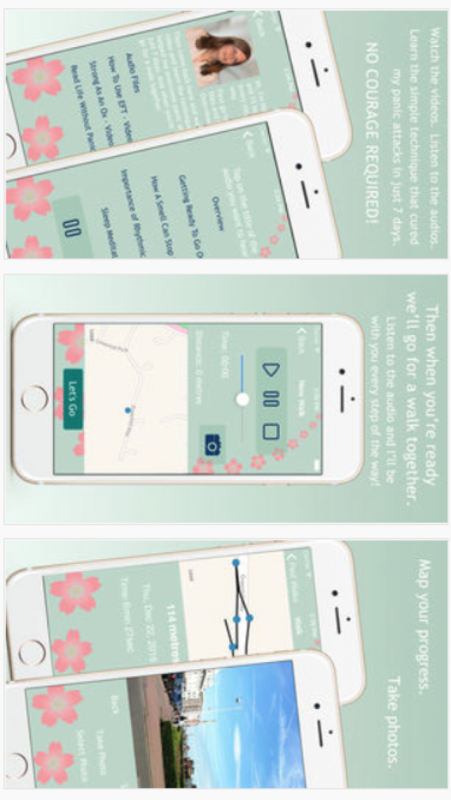 I just wish I'd had this app when I was suffering, it would have been over so much quicker!" Download Stepping Out today. It will be like having your own personal therapist with you at all times!